The start of a New Year is a great time to plan ahead to save yourself and your loved ones time, money and stress. 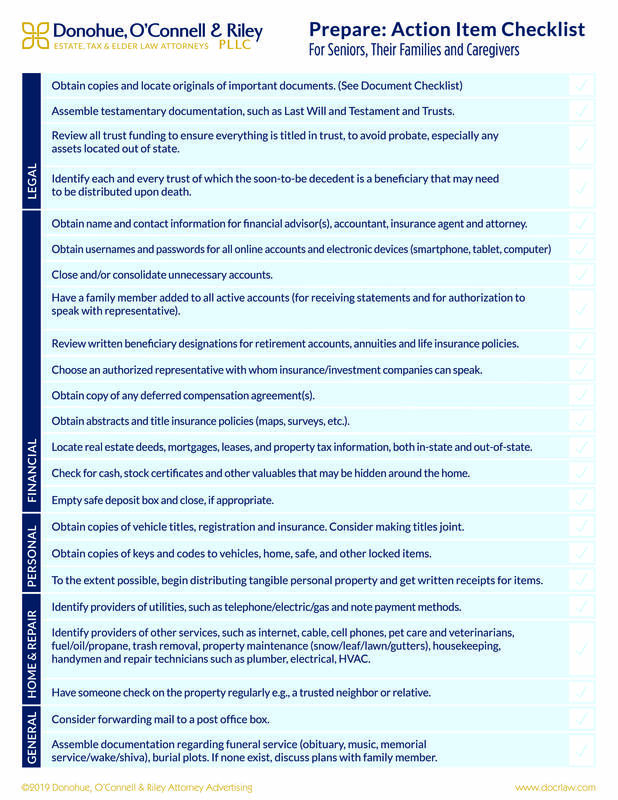 This easy-to-use checklist serves as a comprehensive guide for seniors, their families and caregivers as they consider all the legal, financial, personal and practical steps to proper advanced planning. We invite you to download and share this worksheet with anyone looking for an opportunity to live life to the fullest in the retirement years and prepare for the road ahead. Resolve to Organize Your Affairs in 2019! As you set goals and resolutions for 2019, organizing your affairs for peace of mind should be at the top of the priority list. Many clients and their families feel overwhelmed when they try to navigate the financial and emotional complexities of aging. 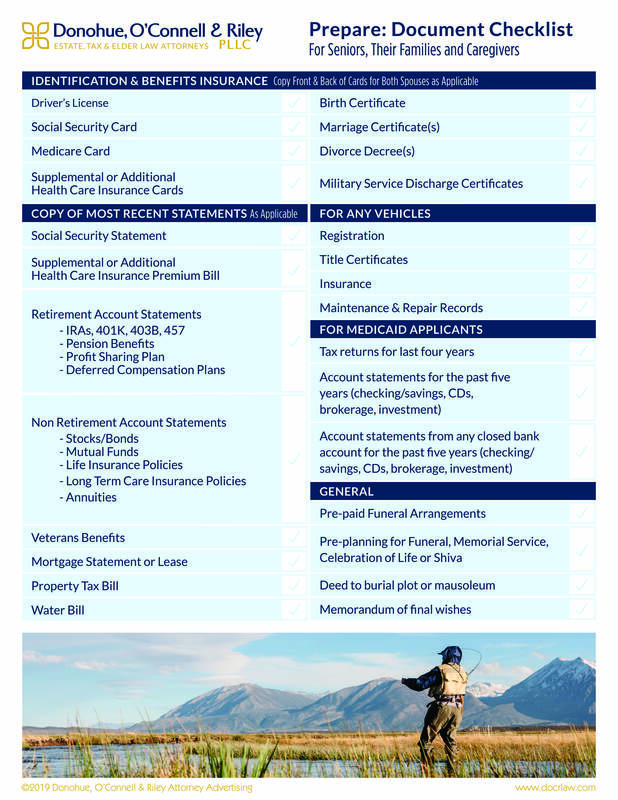 We hope this Document Checklist gives you a solid foundation of helpful documents you’ll need to get your affairs in order, in the event of an unexpected health crisis. Please feel free to download and share with your family, friends and trusted advisors. Please be aware that the information contained in this site is not intended to be legal advice and is not a substitute for consultation with legal counsel. You will need to consult with a qualified attorney for advice regarding your individual situation. Please also understand that contact with Donohue, O’Connell & Riley via calls, letters and e-mail does not create an attorney-client relationship. Firm representation must be confirmed in an engagement letter.